Browse: Home / “The Offies” OffWestEnd.com London Theatre Awards celebrate the best and brightest! 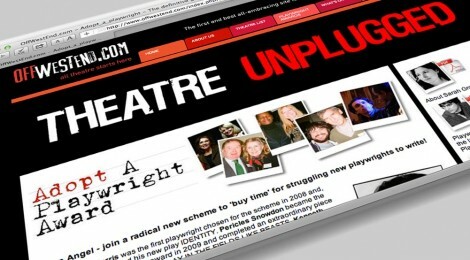 “The Offies” OffWestEnd.com London Theatre Awards celebrate the best and brightest! Having worked with the founder of OffWestEnd.com from the start… it’s been such a joy to see Sofie’s efforts over the past few years really make such a huge difference to shine a brighter light on the stars of London’s fringe and Off West End theatre scene. Hurrah! At the second annual gala event, I got the pleasure of filming the event in Theatre Royal Stratford East (near the Olympic Park in East London). What a great theatre and friendly bar!